1. Keep it cool! It’s helpful to keep a glass container filled with water chilling in your refrigerator. The extra step of chilling water may just trick you into thinking your water is the refreshing beverage that it really is. 2. Add cucumber slices to water for a surprisingly crisp refreshing taste. Get creative, you can also add in other fruits spices to help mix it up! 3. Most people are used to adding lemon to water but there is also a caloric reason behind it, the ascorbic acid in lemon helps to actually speed up your metabolism and burn a few more calories. That’s reason enough for me to drink it! 4. 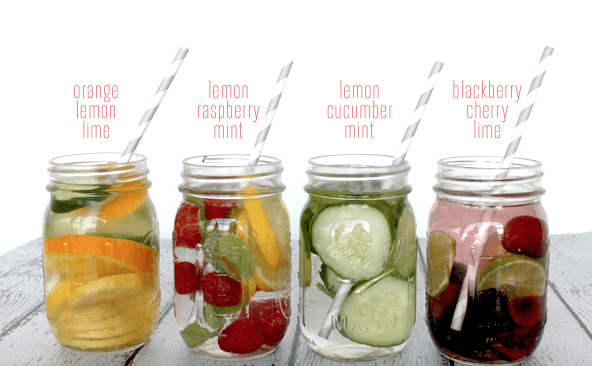 Take that container with your chilled water and throw a few sprigs of mint and sliced limes in there. Almost as enjoyable as a mojito and certainly less caloric. 5. Sparkling water works too. If you miss the effervescence of soda try sparkling water and a just splash of your favorite juice. Freshly squeezed fruit juices are the healthiest choice. From watermelon to oranges you can create amazing hints of flavor in every glass of water. These are just few interesting options to drinking more water you can mix and match to which ever choices suit you. The goal is drink at least 64 ounces of water a day to promote weight loss. 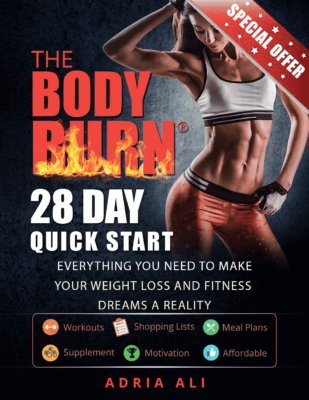 Use this along with your Body Burn Fitness routine and you should be on your way to a better body in NO TIME!